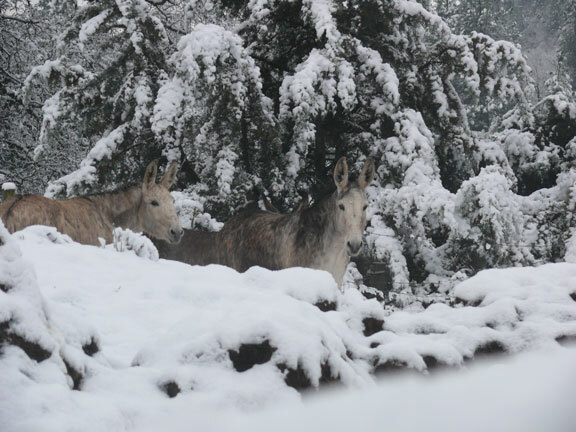 The Fleming Jones Homestead B&B, built in 1883, is home to World Champion miniature horses and playful big donkeys. 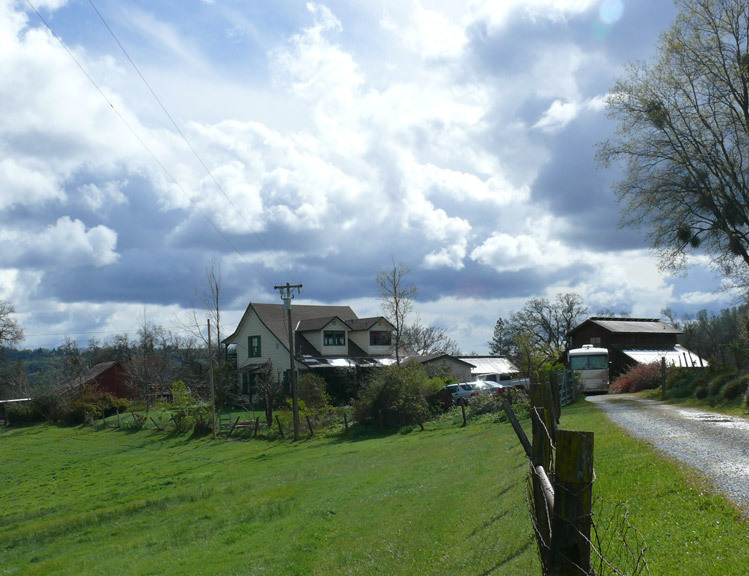 On 11 acres, we are the closest bed and breakfast to both Fair Play and Apple Hill wineries and five minutes from downtown Placerville. Pet friendly, we welcome dogs in the bunkhouse and woodshed rooms both located in the bunkhouse building a few steps away from the main house. The main house has three additional guest rooms. Our rooms are decorated in antique French/Swiss furnishings or have a western theme - all designed for the comfort for our guests. Originally a working cattle ranch, feeding the miners in Placerville, the "Pharm" was opened as a Bed & Breakfast by Janice Condit in 1980. One of the oldest running Bed & Breakfasts in Placerville, it was bought by the Miller's in 1999 who have significantly travelled throught the world and incorporated aspects of their favorite experiences into the Inn. Guests are treated to an ever changing gourmet breakfast tailored around your dietary restrictions that includes baked goods, fresh fruit, a main dish and breakfast meats plus an array of drink choices including Peet's Coffee. Evening snacks vary but often include Robin's frequently requested brownies. These "made from scratch" dishes use local produce and home grown herbs, fruits and vegetables as much as possible. Our ancient pear trees yield abundantly to the pleasure of our guests (they are nothing like store bought) from August through October. In the fall, our vineyard yields a harvest of grapes to support our annual wine making event. As Placerville's first solar bed and breakfast, Mark can answer your Solar Power questions. 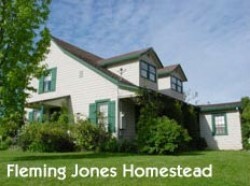 Five rooms are offered at the Fleming Jones Homestead Bed & Breakfast Inn. Each with full private bath, queen or double bed, cozy robes, free wi-fi and games in the parlour area as well as decks or porches. A full breakfast, early evening refreshments, early morning coffee, and afternoon beverages are included in room rate. Nightly rates listed below assume double occupancy for each room. The Lover's Fancy room is located upstairs and features a queen sized bed, an antique iron daybed, an armoire, a reading area, an adjoining Jacuzzi tub/shower filled bathroom and direct access to the shared upstairs porch. $155-180 plus tax. The Flower Basket room is located upstairs and features a queen sized bed with a beautiful antique iron bed frame, a mahogany dresser and direct access to the shared upstairs porch. A private bathroom for this room is but a few steps down the hall. $145-170 plus tax. The Oak & Rose is located downstairs and features a full sized bed with a beautiful antique hand carved bed frame, a handsome antique secretary and reading/work area. The private bathroom is located two steps outside the bedroom door. $135-160 plus tax. The Bunkhouse-Woodshed suite can be taken as separate rooms. These rooms share a connecting door and are western in theme. As a suite, $255-285 plus tax up to 4 occupants. Dogs welcome by reservation in these rooms for an additional fee. The Woodshed room is decorated in arts & crafts vintage (“lodge-like”) featuring a queen-size bed, rocking chair and full dresser, old fashioned cast iron soaking/bathtub in the bathroom and direct access to the back porch. $140-165 plus tax. The Bunkhouse room is western in décor featuring a full-size bed, reading area, and a bright and airy bathroom with an old fashioned cast iron soaking/bathtub. Access to the back porch area shared with the Woodshed is out around the building’s side ramp. $140 plus tax.